Votive Candles in Glass Cup burn 15 Hours. 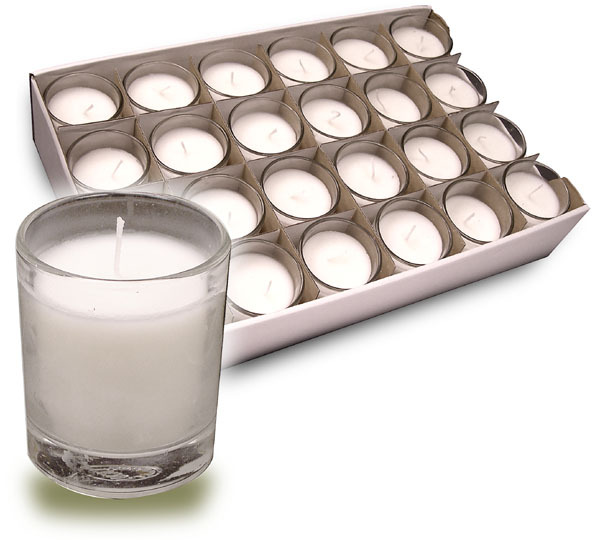 Candles are White in Clear Glass Free-stand Votive Cup. Unscented. Suggestion: For Best Results, Trim Wick to 1/4" Before Lighting. Cup. 2-3/8"H x 2" dia. Please Note: Exercise extreme care with any open flame or flammable liquid.